Warm Water Vs. Cold Water: Which is Secretly Damaging Your Health? Sure, we all know that drinking water is important but should we be drinking warm water or cold water? Is room temperature ideal or are they all the same? Well, to be completely honest, there are benefits to all water temperatures. The temperature you drink should depend on what you are wanting to gain by drinking water in the first place. That being said, according to Traditional Chinese Medicine we aren’t supposed to drink cold water at all. It is said that cold water causes contraction of muscles and makes us sick. 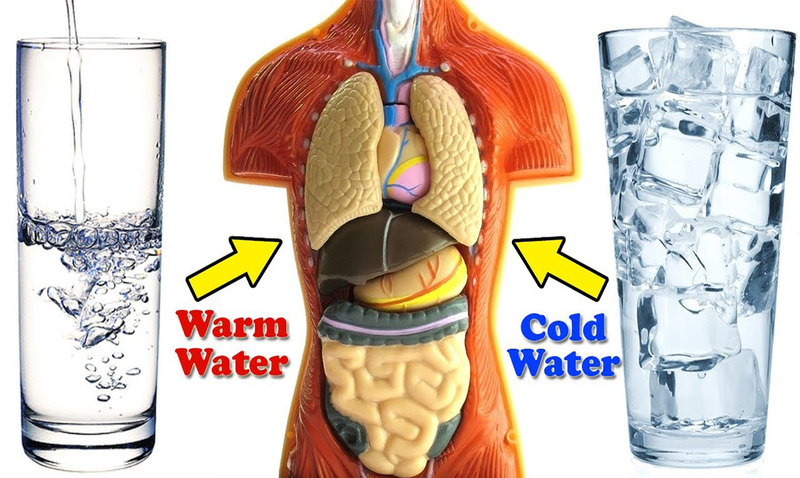 Now, most will tell you that warm water is better than cold as it increases blood circulation and helps improve digestion, but that isn’t all it can do. The benefits of drinking warm water are a lot more interesting than you might think. Some of the benefits include pain reduction and even reducing nasal congestion. Now, when it comes to drinking cold water, the main benefits are things like lowering our body temperature after a workout. When you are out in hot weather, drinking cold water is never a bad idea but otherwise at least room temperature is a good option. If you drink cold water while eating, it can actually negatively affect your digestion process where as mentioned above warm water positively benefits it. You see, when we drink warm water during a meal we are making it easier for our food to be digested and pass from one intestine to the other. Sure, drinking cold water isn’t a bad thing, and it isn’t going to necessarily cause you harm but if you can go for warm water it is always the best route to choose. While most people think drinking cold water helps us lose weight, one study from back in 2003 actually found that switching from cold water to hot could increase weight loss. It seems to really increase the metabolisms of those drinking it. I know this may sound a bit strange, but the temperature of your beverages might be something you should be paying more attention to. I for one will be opting for warm water from here on out. Interesting, isn’t it? Sure, drinking hot water won’t be a cure for any deadly diseases, but it might benefit your health in some very positive ways.